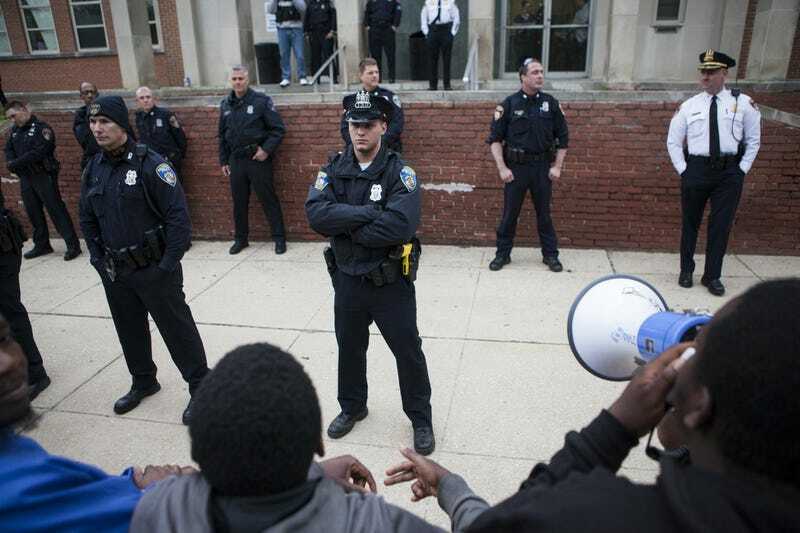 Hundreds of protesters gather outside a police station in Baltimore on April 23, 2015, to seek justice in the death of Freddie Gray. On Thursday, Louisiana Gov. John Bel Edwards officially signed into law the “Blue Lives Matter” bill, making the state the first in the nation to protect public safety workers under hate crime laws, the Washington Post reports. Hate crime laws usually bring additional penalties to those convicted of targeting victims on the basis of race, ethnicity and religion in many states. However, now, in Louisiana, police officers, firefighters and emergency medical service personnel will fall under the same protected class under the state’s hate crime law. The change in the law would mean that suspects convicted of committing felony hate crimes against police officers could face a fine of up to $5,000 or five years in prison. Added to a misdemeanor, a hate crime charge would rack up a $500 fine or six months in prison. As the Post notes, the legislation faced very little opposition from lawmakers, easily making its way through the Statehouse. Louisiana State Rep. Lance Harris, a Republican, authored the bill in the wake of several high-profile cases, including the December 2014 slayings of two New York City police officers that shook the nation. However, the bill has not been completely unopposed in social circles, with the New Orleans chapter of the Black Youth Project 100, an activist organization of black youths ages 18-35, slamming the signing in a statement.